Genuine OEM Canon Toner Cartridge, Cyan, High capacity 10,000 page yield. 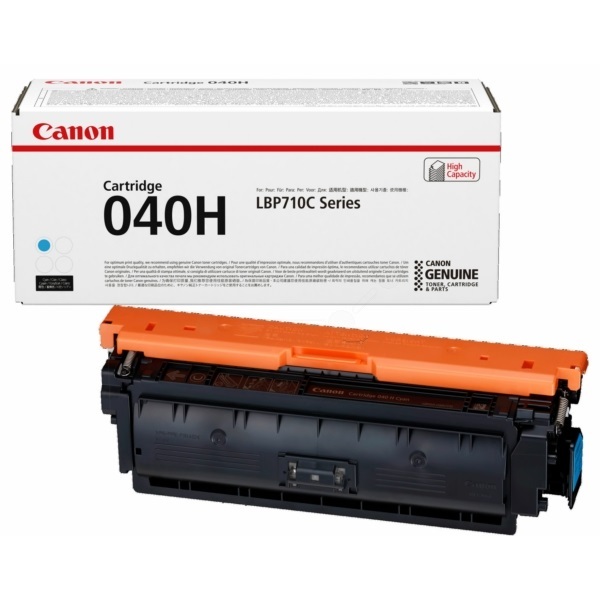 Canon part number: 0459C001, 0459C001AA, CRG-040H Cyan. Color Laser Toner Cartridge compatible with Canon imageCLASS LBP712Cdn.